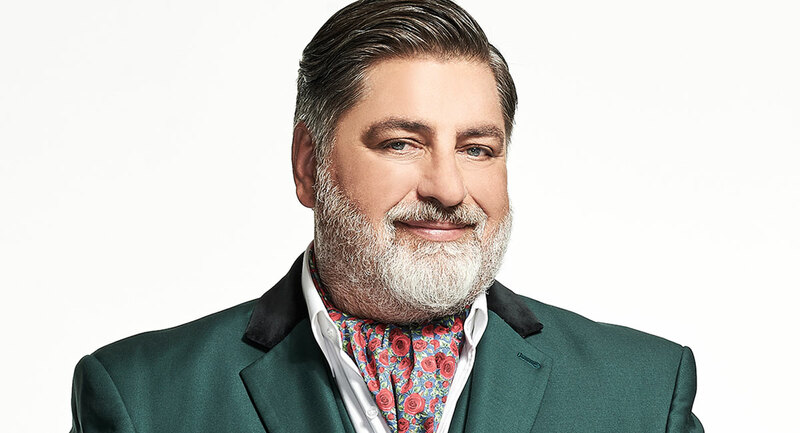 Formerly a humble entertainment and business reporter, Matt Preston never predicted a long career as a TV judge and host. His move into food writing brought him to the notice of FremantleMedia Australia, who were commissioned to make the first season of MasterChef Australia for the Ten Network a decade ago. 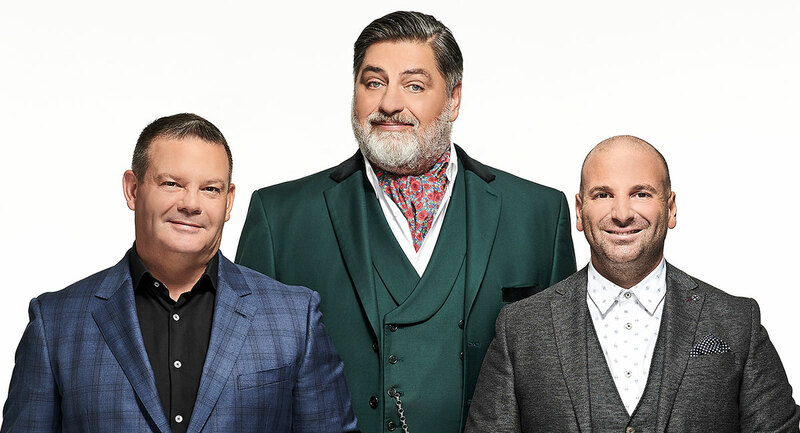 His fellow judges over the decade have been George Calombaris and Gary Mehigan. It’s been a wild ride that Preston is not about to let go of. “It becomes more exciting as it becomes more ridiculous… and we are still there after such a long time,” Preston told Mediaweek on the eve of the 10th season of the hit series. “As with all the MasterChef contestants who draw a line in the sand, I don’t want to be the first to go. Contestants like to try to make it to top 20, top 12, top 10. 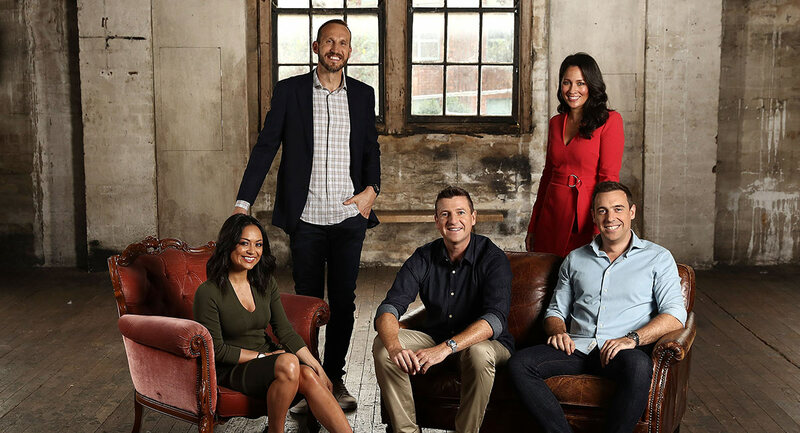 Optus has revealed its lineup of expert football analysts and hosts who will lead its coverage of next month’s 2018 FIFA World Cup. 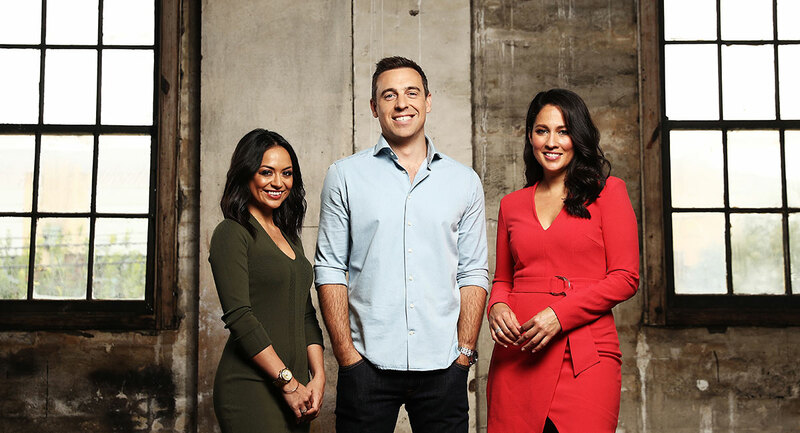 The Optus Sport team will be made up of hosts Richard Bayliss, Mel McLaughlin and Jules Breach, who will be joined by Socceroos legend Mark Schwarzer and renowned Premier League striker Michael Bridges. Optus Sport’s core team will be joined by over a dozen high-profile guests, to be announced in coming weeks. Optus is presenting the 2018 FIFA World Cup Russia in partnership with SBS, with Optus Sport being the only place to watch all 64 games of the 2018 FIFA World Cup live and on demand. In addition to watching the live matches, Optus Sport subscribers will get five hours of original live programming every matchday with pre-game shows, post-match coverage and daily highlights produced by the Optus Sport production team. 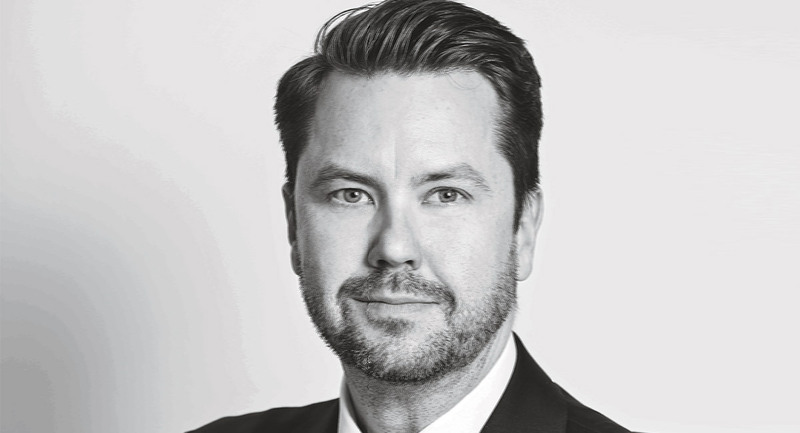 Managing director of marketing and product at Optus, Ben White, said: “The 2018 FIFA World Cup is one of the largest sporting events in the world and we’re delighted to be working with our analyst team to deliver the most comprehensive coverage of a World Cup ever seen in Australia, with state-of-the-art coverage, content and insights into each and every match played. “Optus will have three on-air teams based in Russia and will produce a primetime show leading into each matchday, along with full match coverage and two morning shows to wrap up each matchday and concluding with Red Square: Live. 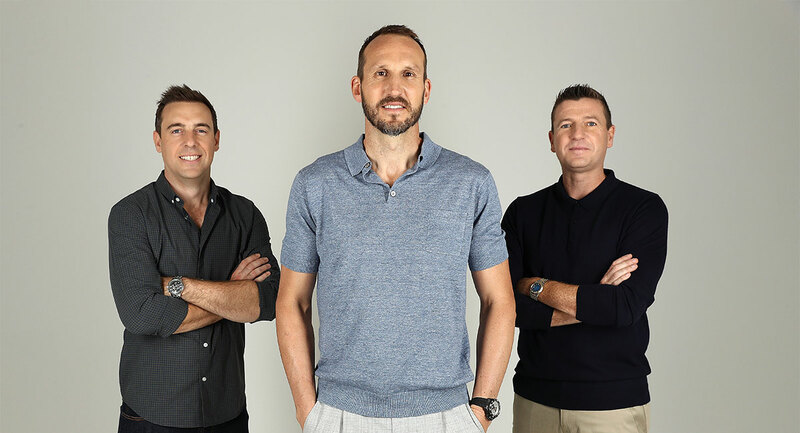 “This is a significant step for Optus as we continue to become a mobile-led multimedia company and a broadcaster, and we’re thrilled to welcome this team together for the 2018 FIFA World Cup and are really excited about the diverse range of experiences and specialities they each bring to the role,” added White. Optus Sport subscribers will be able to watch all 64 matches of the 2018 tournament live via the app, which will be available early June. SBS’s match of the day will be free for all users. The official app will also feature exclusive enhanced viewing functionality and multi-angle replays and stats. The new FIFA World Cup VR app will allow fans to enjoy the game from every angle with live 180° and 210° super wide shots, and 360° video on demand. Richard Bayliss: With a career spanning almost a decade, Richard has established himself as one of Australia’s most respected sports journalists and presenters. 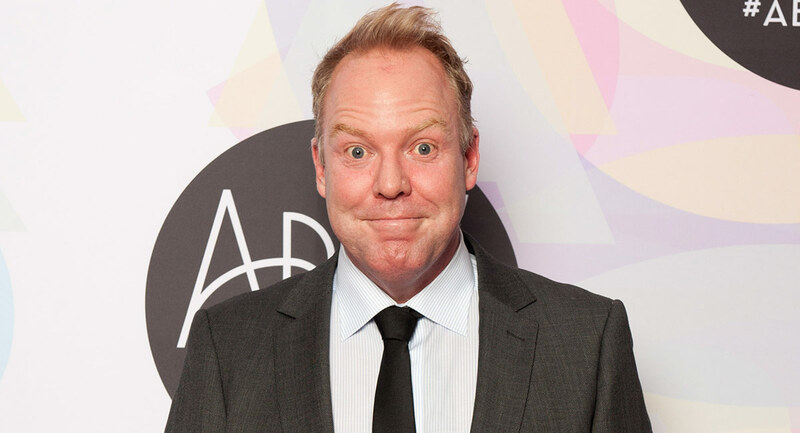 Richard joined Optus Sport as executive producer and presenter in 2016, having established himself in front of and behind the camera during a seven-year stint with Fox Sports. Currently, Richard hosts weekly football show Countdown to Kick Off alongside former Premier League stars Mark Schwarzer and Michael Bridges. Mark Schwarzer: With a successful football career spanning over 25 years, Mark Schwarzer is a football icon, becoming the most capped international player in Premier League history and appearing in green and gold on 109 occasions. Since retiring from professional football in 2016, Mark has established himself as one of Australia’s top football commentators. Mark works with Optus Sport as a pundit and sideline commentator, providing expert opinion, while conducting interviews with the biggest names in the game. Michael Bridges: For over 20 years, Michael’s successful football career saw him play for several elite clubs in the Premier League and Australian A-League, while also representing his country. Since retiring from football in 2014, Michael has established himself as one of Australia’s top football commentators, working with several networks including Optus Sport, and is known as one of the great storytellers in the game. Jules Breach: Jules Breach has established herself as one of the most exciting football presenters in the UK over the past seven years. Jules hosts a number of shows on Optus Sport’s Premier League coverage such as Fantasy Premier League and Fanzone, while also fronting BT Sport’s live football coverage each Saturday afternoon, in addition to hosting for ESPN and UEFA. Mel McLaughlin: Despite hosting a wide variety of the biggest sporting events seen on Australian television, Mel McLaughlin may always be known as a football tragic. In addition to her work for Seven on the 2016 Olympic Games, Australian Open Tennis and Commonwealth Games, Mel boasts experience in hosting English Premier League, A-League and Socceroos matches, and has covered multiple FIFA World Cups. From later this month, Optus Sport will be available for the first time to non-Optus customers and Optus customers who were previously not eligible, for $14.99 per month. All subscribers will be able to access all of Optus Sport’s 2018 FIFA World Cup coverage, including two 24/7 channels, all 64 matches both live and on-demand and Optus Sport’s entire array of dedicated World Cup programming, as well as all other sports programming on Optus Sport. 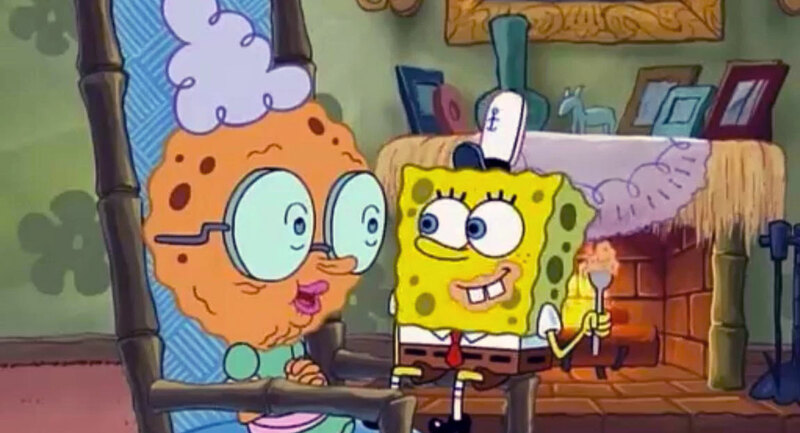 Nickelodeon Australia, a division of Viacom International Media Networks (VIMN), has unveiled the results of The Grand Illusion: Being Grandparents in the 21st Century, a new study exploring the expanding role grandparents play in today’s family. With multi-generational households on the rise and the growing costs of childcare leading to more than 800,000 grandparents providing care for their grandchildren each week, Nickelodeon conducted a local quantitative study amongst 1,000 Australian 55- to 75-year-old grandparents with grandchildren aged 0-17 in April 2018. The study shows that 88% of grandparents say family is their number one priority and overwhelmingly agree it’s important to provide support and guidance, pass down family and cultural traditions, and teach their grandchildren life skills. However, the support they provide comes at a cost. One-third of all grandparents contribute to the costs of raising their grandchildren, leaping to three-quarters among those who provide care on a daily basis. Retired grandparents spend the most per month on their grandchildren (an average of $402.40) with money mostly going toward presents, food and drink, clothes, toys and day trips. Forty percent say they make sacrifices to provide care for their grandchildren and 20% say it can be a financial burden, but only 10% indicated caregiving has impacted their original plans for retirement. Of those surveyed, 88% say they enjoy being a grandparent and 42% say they enjoy being a grandparent more than they did being a parent. Of those caregiving on a regular basis, 71% say they are playing a larger role than their own grandparents did with them, they have a closer relationship with their grandchildren as a result, and agree that helping out is part of their role within the family. Eighty-two percent of Australian grandparents cite “doing fun things together” as the most important part of their role. Children are well looked after by their grandparents, with 85% indicating that they give their full attention to their grandchildren when they are playing with them. The activities they do together vary depending upon the ages of the children and those with younger grandchildren are more likely to go on walks, play games or read. Pre-teens tend to talk, watch TV or go to shows or special events with their grandparents, while those with teenage grandchildren cited outings such as the cinema, music events, galleries or the beach as common activities. Despite almost four in 10 having had disagreements or raised concerns regarding their grandchildren with their own children, two-thirds of grandparents surveyed think parenting has changed dramatically since they had children and almost half feel that expectation on parents is too high. Nearly 60% believe their grandchildren have so many more opportunities than their parents, but 57% say kids are under more stress than they should be. More than 60% of grandparents think kids are growing up with fewer rules and less discipline, and more than half feel kids are too protected. Perhaps unsurprisingly, 65% say that kids today are too spoiled but over half admit that they spoil their grandchildren themselves. Overall, almost 80% of grandparents think they are doing a good job while more than a quarter say it is harder than they thought it would be. Over 80% also say being a grandparent has changed their lifestyle, a statistic that jumps to 90% amongst regular caregivers. More than half of those who provide regular care say that looking after their grandchildren can be physically demanding, and a third said it affected the time they have for themselves. 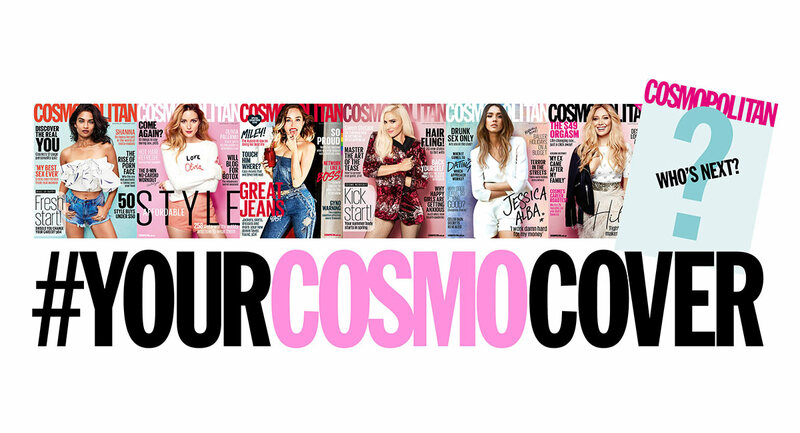 Cosmopolitan Australia is giving its readers the chance to choose its next front cover, launching its #YourCosmoCover consumer campaign today. #YourCosmoCover allows readers to vote for 16 handpicked influencers they want to see on the upcoming September issue’s cover. The move follows recent research around influencers from Cosmo’s publisher Bauer Media, which show that 80% of consumers trust the influencers they follow and 81% have purchased a product after seeing an influencer post about it. 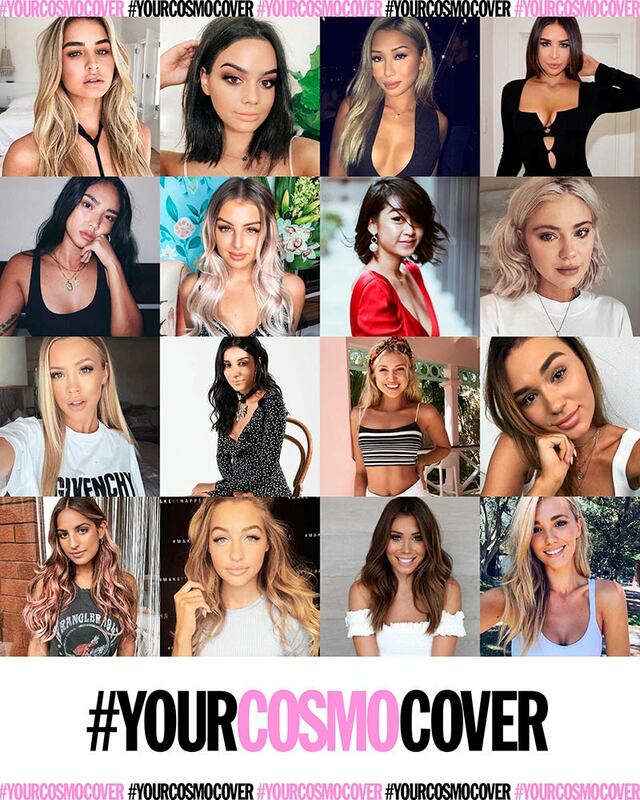 Cosmo readers can vote for their favourite influencer online at Cosmopolitan.com.au until June 3, with the winners revealed on the cover of the September 2018 issue, on sale August 6, 2018. 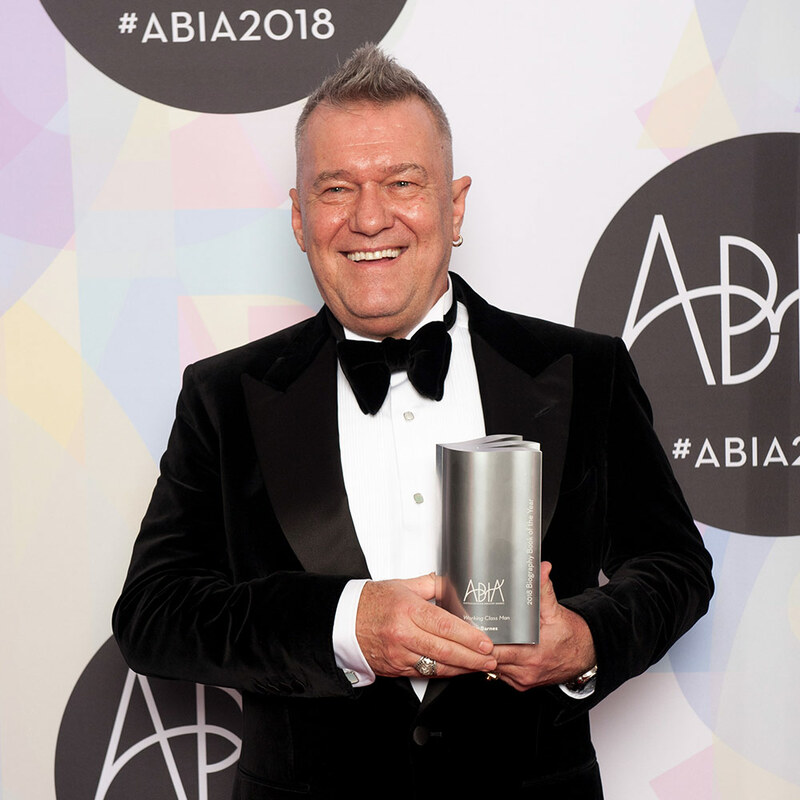 The 2018 Australian Book Industry Awards (ABIAs) were announced late last week at a gala dinner at the Sydney International Convention Centre, hosted by ABC TV’s Ben Jenkins and Zoe Norton-Lodge. Known as the Oscars for books, the awards are judged by an academy of over 250 respected publishing industry figures, and celebrate the very best of Australian writing, publishing and bookselling. Thirty-three-year-old publishing sensation Jessica Townsend was the big winner of the night for her international smash hit debut “Nevermoor: The Trials of Morrigan Crow” (Lothian Children’s Books, Hachette Australia). “Nevermoor” picked up three awards including the major award of the night, The Gold ABIA for the Book of the Year, along with the Matt Richell Award for New Writer of the Year and Book of the Year for Younger Readers. It has been an incredible year for Jessica with the book hitting bestseller lists all over the world and 20th Century Fox snapping up the film rights. 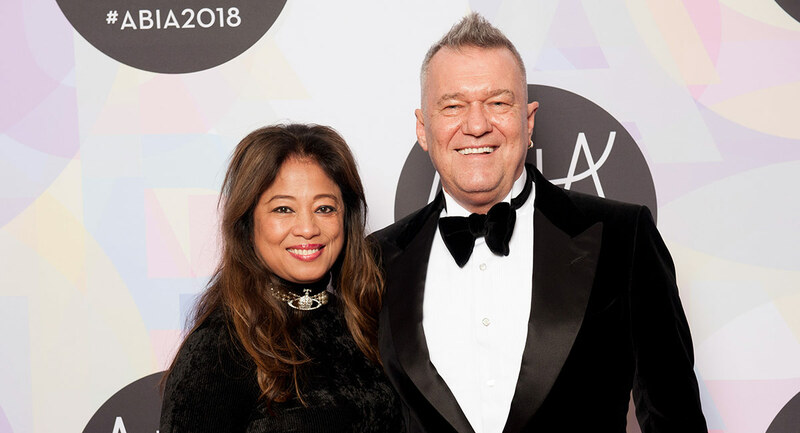 For the second year in a row, the Biography Book of the Year was awarded to music legend Jimmy Barnes for the second instalment of his bestselling autobiography, “Working Class Man” (HarperCollins), with sales of over 160,000 copies. Michael Robotham, four times the bridesmaid, was finally awarded General Fiction Book of the Year for his psychological thriller, “The Secrets She Keeps” (Hachette, Hachette Australia). Literary Fiction of the Year was awarded to Sarah Schmidt’s re-imagining of the Lizzie Borden murders, “See What I Have Done” (Hachette, Hachette Australia), and the General Non-Fiction Book of the Year was awarded to “The Trauma Cleaner: One Woman’s Extraordinary Life in Death, Decay & Disaster”, by Sarah Krasnostein (Text Publishing, Text Publishing). Recipients of the industry business awards were HarperCollins Publishers (Publisher of the Year), Thames & Hudson (Small Publisher of the Year), Dymocks (National Retailer of the Year), Shalini Kunahlan (Rising Star of the Year) and Readings, who once again took out the Independent Retailer of the Year. Sky News Live and Sky News Business, featuring Australia’s most experienced political reporters and business analysts, are promising unrivalled live multichannel coverage of Budget 2018. Every angle and every opinion will be covered. The countdown to the Treasurer’s speech begins at 5am Tuesday on Sky News Live (Ch 601) with Kieran Gilbert and Brooke Corte on First Edition. Political reporters Ashleigh Gillon, Laura Jayes and Tom Connell will be joined throughout the day by leading economists to discuss the potential market and economic impact of the Government’s package. At 5:30pm on Sky News Business (Ch 602), business editor James Daggar-Nickson hosts a special Budget 2018 edition of Ticky, then at 6.30pm Helen Dalley will be joined by market experts to preview what Budget 2018 holds for business and personal finances. From 6pm on Sky News Live, Ross Cameron and Rowan Dean will host a special Budget edition of Outsiders, before Janine Perrett sets the scene from Canberra as the Treasurer prepares to deliver what’s expected to be a pre-election budget. Then from 7:30pm, there’s live coverage from the House of Representatives as Treasurer Scott Morrison hands down Budget 2018, simulcast on Sky News Live and Sky News Business. Straight after the Treasurer, award-winning Sky News political editor David Speers leads unrivalled analysis from Parliament House. His team of experts includes former Prime Ministerial chief of staff Peta Credlin, leading business journalist Ticky Fullerton and political reporter Samantha Maiden. As the Sky News team examines the political and economic impact of the Budget, Speers will be joined by the Treasurer and Shadow Treasurer Chris Bowen. From 9pm, Budget 2018 with David Speers will provide further insights as the panel of experts is joined by The Australian’s editor-at-large Paul Kelly. At 9pm on Sky News Business, Ticky Fullerton will host Budget 2018: Ticky, as the nation’s business elite present their first response to the Government’s package. At 10pm, a special budget edition of the top-rating Paul Murray Live will be simulcast on Sky News Live and Sky News Business. Paul and his team, including Chris Kenny and Nicholas Reece, will be joined by Canberra’s key crossbench senators for their first appraisal. Janine Perrett returns at 11pm for a special Canberra-based edition of Heads Up as her panel takes the first look at the nation’s front pages and examines how the budget will play out in the media. On Wednesday May 9 Sky News will bring viewers all the post-budget analysis with Budget 2018: The Verdict. From 5am on First Edition, Kieran Gilbert and Brooke Corte will talk to all the key players as the Government begins the hard sell and the Opposition seeks to expose policy flaws. On Sky News Business, business editor James Daggar-Nickson and chief business reporter Ingrid Willinge will be joined by business reporter Leo Shanahan as they digest the economic and market impact on Budget Breakfast. At 12:30pm there will be live and uninterrupted coverage from Parliament’s Great Hall as Treasurer Scott Morrison delivers his Post-Budget Address to the National Press Club. On Thursday May 10 Budget 2018 coverage continues on Sky News Live with a special edition of The Bolt Report at 7pm ahead of live coverage and analysis of Labor’s Official Budget Reply at 7:30pm on Sky News Live. The ARIA singles chart has its third new #1 single in three weeks – and all from different artists – which is something that doesn’t happen often these days. Post Malone is the chart champ this week on both ARIA charts. The US rapper has scored his second #1 single with “Psycho” after “Rockstar” went #1 in November 2017. Both those tunes are among the 17 tracks from the artist (13 are chart debuts) in the ARIA Top 50 this week. ARIA has reported Post Malone equals Michael Jackson’s July 2009 record for most tracks in the Top 50 and Ed Sheeran’s March 2017 record for most debuts in one week in the ARIA Top 50. Post Malone was the only artist to debut on this week’s chart inside the top 50. However, there was good news for a couple of Aussie artists making a mark. 5 Seconds Of Summer climbed two spots with “Youngblood” to a new peak of #24. Amy Shark saw “I Said Hi” move six places higher to #28 in its third week. There were seven new albums in the top 50 this week with five of them landing in the top 10. The chart belongs to Post Malone this week as his second album “Beerbongs & Bentleys” becomes his first #1 in Australia after “Stoney” peaked at #5 following its release at the end of 2016. Despite all the new arrivals in the top 10, Ed Sheeran continues his amazing chart resilience with his two most recent albums still seemingly anchored there. Meanwhile his first album also holds in the top 20. 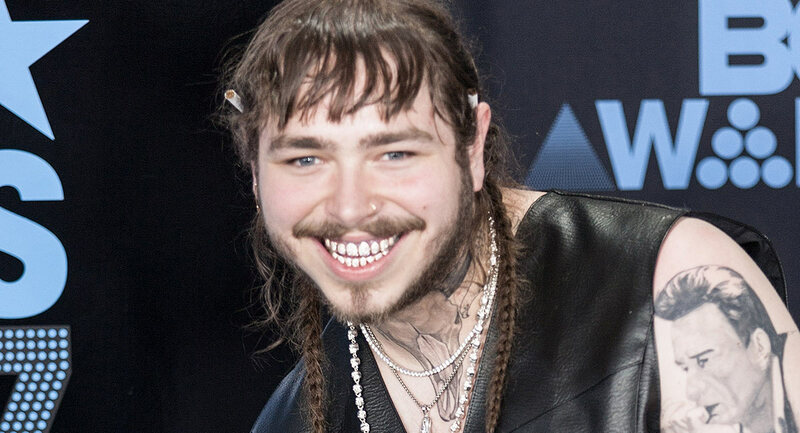 Post Malone stopped two Aussie artists landing a #1 debut. Keith Urban’s 10th album “Graffiti U” debuts at #2, stopping just one spot short of where chart-topper “Ripcord” landed exactly two years ago. Missy Higgins had to settle for #3 with her fifth album “Solastalgia” which has debuted where her fourth album “Oz” peaked in September 2014. Her first three albums all made it to #1. #6: Kasey Chambers & The Fireside Disciples with “Campfire” – Chambers’ 12th album is the ninth to go top 10. #7: DMA’s “For Now” – the Sydney rock trio have been performing in the UK as their second album lands. Their debut “Hills End” peaked at #8 in March 2016. #12: Janelle Monáe with “Dirty Computer” – among the artists working with the US singer on her third album, first to go top 10, are Brian Wilson, Pharrell, Grimes and Zoe Kravitz. #18: Anne-Marie with “Speak Your Mind” – British singer-songwriter’s first album. She is perhaps best known for her vocals on Clean Bandit’s #1 single “Rockabye”. For the My Kitchen Rules grand final, Seven promised an epic battle as each team served up a five-course menu, producing a total of 100 plates for a packed restaurant in Kitchen HQ. The channel also promised the most explosive backstage blow-up of all time! All of that combined to give Seven a big Sunday ratings win and its best share since the controversial closing night of the Commonwealth Games. The Gold Coast’s Alex and Emily were crowned My Kitchen Rules Champions for 2018 after delivering a five-course menu that peaked with a “theatrical, show-stopping” dessert. It was a rollercoaster journey to the grand final for the experimental and often emotional duo, marked by three People’s Choice awards, two trips to Elimination House and first place in the Ultimate Instant Restaurant round. Alex and Emily won with a total of 55 out of 60 with four 9s and a 10 from one of the judges. Their opponents, Melbourne mums Kim and Suong, drew on their Vietnamese heritage to produce a “sensational” and “flavoursome” menu but stress in the kitchen plus an overcooked dessert let them down. They were not far off the pace though, just three points behind the winners as three judges also gave them 9s. Judges Karen and Manu were the difference with scores of 8 from each. 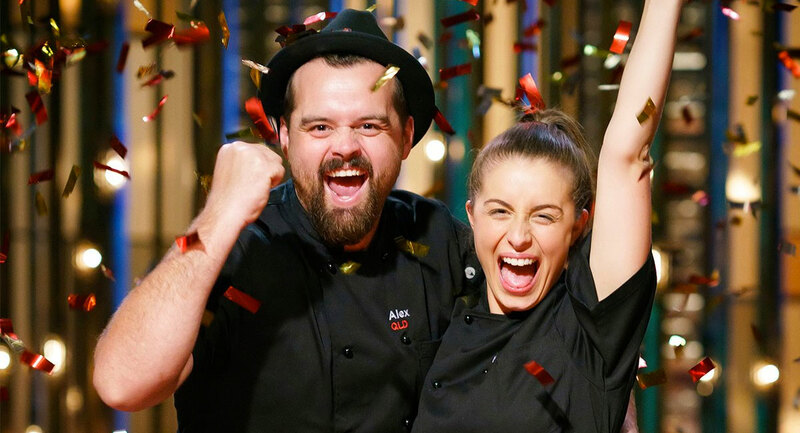 Alex and Emily won the MKR title and $250,000 to put towards their dream of opening their own venue. Although the grand final attracted the lowest-ever audience, it was only down slightly from 2017’s 1.39m. The first four years of MKR saw it average over 2m for the final episode with the last two years under 1.4m. The audience for the Winner Announced segment of the episode was 1.54m, which was up from last year’s 1.50m. Sunday Night followed MKR with 683,000, not too far behind Nine’s 60 Minutes. The biggest controversy ever? We apparently had another one last night – this time on the first episode of the Knockouts on The Voice. It would have to have been a big bang to dent the final night of MKR. As it is, The Voice did a healthy 1.01m last night after 1.06m a week ago. Aydan was the first person through to the next round. 60 Minutes looked at alcohol in society, starting with the case of a very drunk Susan Lung, who was found by police passed out in her parked car on a busy Sydney street. As Allison Langdon reported, it’s a national health crisis that has police particularly worried. 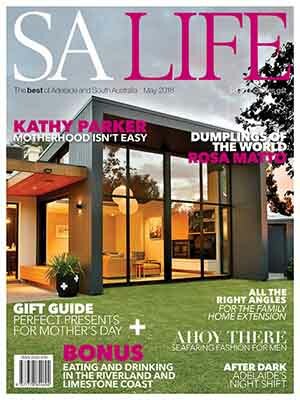 However, in Susan Lung’s case there’s an added complication. Despite being a staggering nine times over the legal alcohol limit, she didn’t lose her licence because police couldn’t prove she had driven her car while she was drunk. The episode did 707,000 and was just ahead of Sunday Night. New Zealand actor Julian Dennison, who stars in Deadpool 2, was a guest on The Sunday Project, which did 343,000. All Star Family Feud then managed 160,000 with stars from MasterChef raising money for charity. The numbers climbed for NCIS to 251,000. Joanna Lumley and Jennifer Saunders took an entertaining trip through the champagne districts of France visiting big and small growers in Absolutely Champers. The program secured a spot in the top 10 with 511,000. A final repeat episode of Midsomer Murders, for now, then did 344,000. Part three of The Celts did 190,000 at 7.30pm. SBS World News had the next best audience with 160,000. There was more wine on SBS after 8.30pm with the Russell Crowe-narrated doco Red Obsession on 111,000. Bauer Media has announced two new senior roles within its commercial brands team. Brigitte Guerin is appointed group brands and partnerships director after returning from maternity leave, while Shane Sutton will be joining the team in the newly created role of brands content director. As group brands and partnerships director, Brigitte Guerin will lead the commercial brands team. The role will drive strategic brand opportunities across categories and generate new cross-platform initiatives. 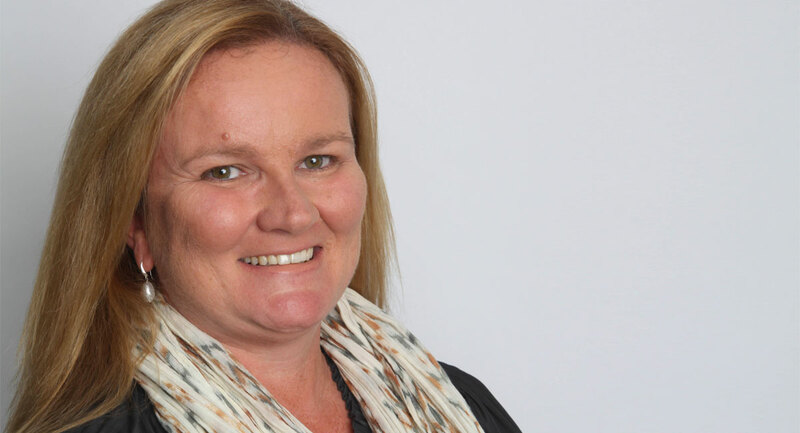 Guerin has a strong sales leadership background and was previously head of agency and direct sales at Bauer Media, and prior to that was head of media solutions at Bauer Media. The position of brand content director sees Shane Sutton working closely with editorial teams to generate major content partnerships and brand-led commercial initiatives. He will be instrumental in developing content opportunities for clients working in conjunction with Story54. 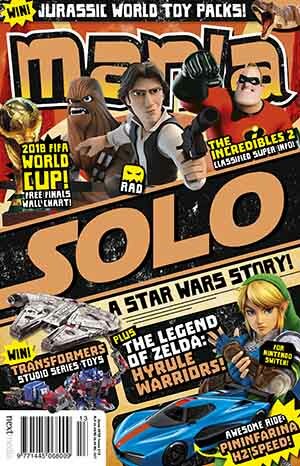 Sutton was most recently editor of Who magazine, which also saw him working closely alongside a dedicated team on the title’s evolving social and digital strategy. Sutton previously held senior positions at Bauer’s TV Week and Woman’s Day. Nine is closer to finalising a deal with News Corp Australia’s Sky Business in a move that would see the subscription-TV broadcaster on a free-to-air network for the first time, reports The Australian’s Darren Davidson. A deal could see parts of Sky Business, whose top talent includes business journalist Ticky Fullerton, run part of the broadcaster’s schedule on one of Nine’s multichannels from September. For Sky News, the idea is to give free-to-air viewers a taste of the network’s premium content and promote the Sky News brand to a new audience as part of a wider strategy to bolster subscription growth at Foxtel. 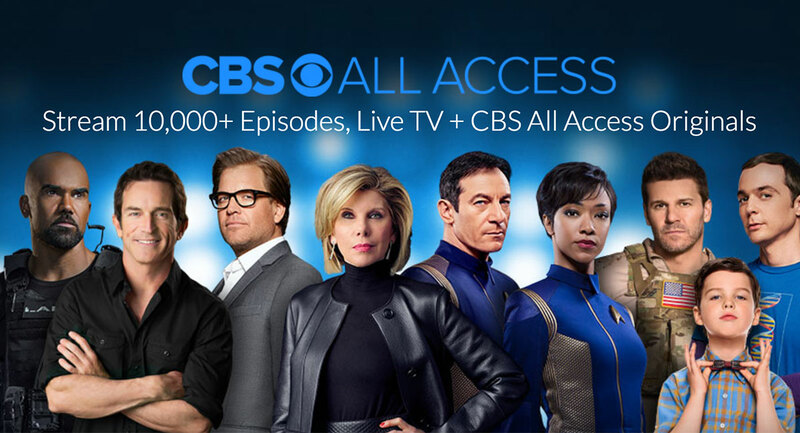 Network Ten owner CBS will bring its subscription video on demand service to Australia by the end of the year as it looks to grow its international streaming footprint, reports The AFR’s Max Mason. CBS Corporation chief executive Leslie Moonves announced the plans at the US network and studio’s first-quarter results overnight in New York. “By year’s end, we plan to bring All Access to Australia using our acquisition of Network Ten as a gateway to launch in that market. After that, we’ll add more and more markets every year, leading to tremendous upside to our overall direct-to-consumer strategy. And importantly, these international subs are incremental to our 2020 target that I just mentioned,” Moonves said. Could Australia be the first to impose a local content quota on Netflix? Could Australia be the first country in the world to impose a local content quota on Netflix? asks Fairfax Media’s John McDuling. The Turnbull government commenced a review of support for the screen content sector nearly a year ago. That raised hopes within the film production community that streaming services such as Netflix and Stan (which is part owned by Fairfax Media, publisher of this column) could be forced to produce fixed amounts of Australian content, like their traditional TV rivals. There’s even been industry chatter that some form of announcement on this, perhaps designed to dovetail with already confirmed tax incentives to lure Hollywood productions back to Australia, could be forthcoming in this week’s Federal Budget. For its part (and unsurprisingly), Netflix is adamant local content quotas – which have also been talked about in Europe and Canada – are a bad idea. 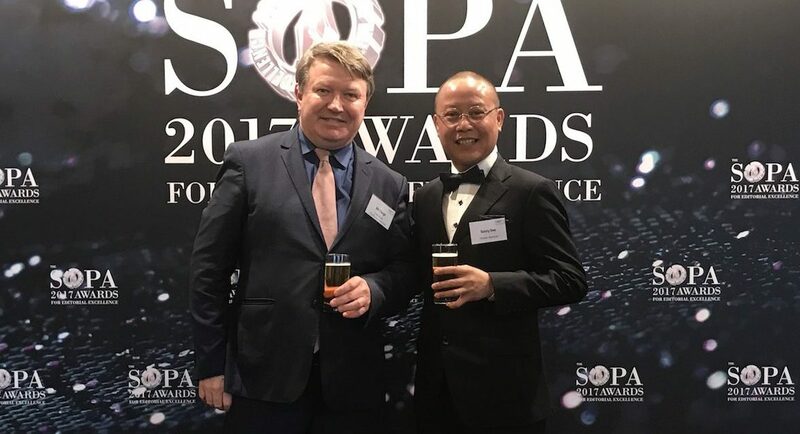 The Australian-owned Phnom Penh Post has been sold to Malaysian businessman Siva Kumar G, according to Post chairman Bill Clough of Perth, reports Mediaweek’s Peter Olszewski. No financial details of the sale were released. The Malaysian buyer Siva Kumar G is the managing director and CEO of Kuala Lumpur-based PR firm Asia PR. During the 1990s, Asia PR was a backer of a Cambodian newspaper headed by T Mohan, who now owns the English-language daily the Khmer Times. 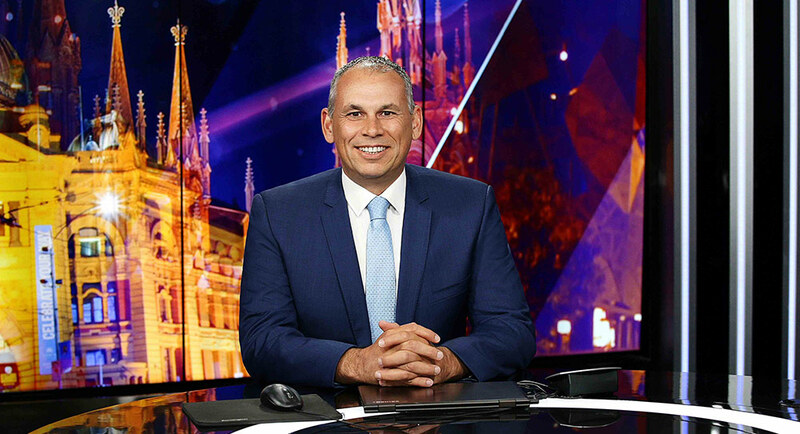 Sky News has announced that former chief minister of the Northern Territory Adam Giles will join the broadcaster to anchor a new Sunday night discussion program. The Adam Giles Show will kick off the channel’s new Sunday evening lineup at 6pm, and the first episode went to air last night. Network Ten has announced the arrival of singer Bonnie Anderson to the FremantleMedia daily soap Neighbours. 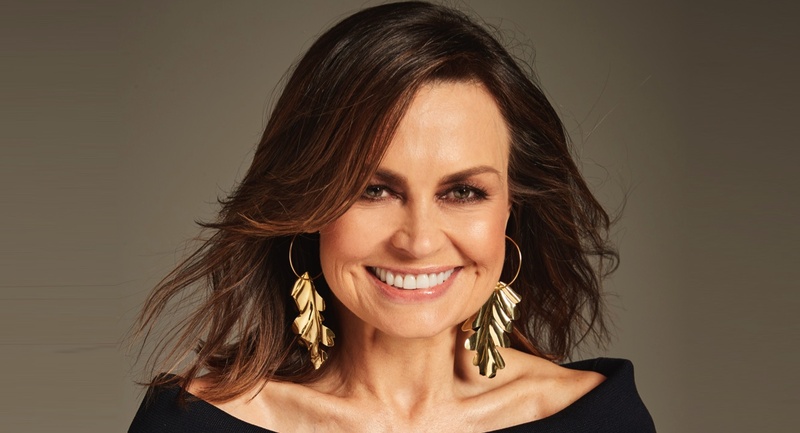 Anderson will play Beatrix “Bea” Nilsson, the estranged half-sister of Ramsay Street favourite Elly Conway played by Jodi Anasta, and niece of Neighbours matriarch Susan Kennedy played by Neighbours icon Jackie Woodburne. The 23-year-old Melbourne-based singer songwriter won Australia’s Got Talent at the age of 12. Lisa Wilkinson’s defection to Channel Ten is a complete “ratings fail”, according to one news outlet. “Not worth the money,” declared another. She’s a “faded star” who made The Sunday Project’s viewership “slump”. There’s only one problem: her numbers have gone up, reports Fairfax Media’s Michael Lallo. Last year, The Sunday Project’s 6.30pm slot averaged 350,000 viewers nationally, rising to 442,000 at 7pm. 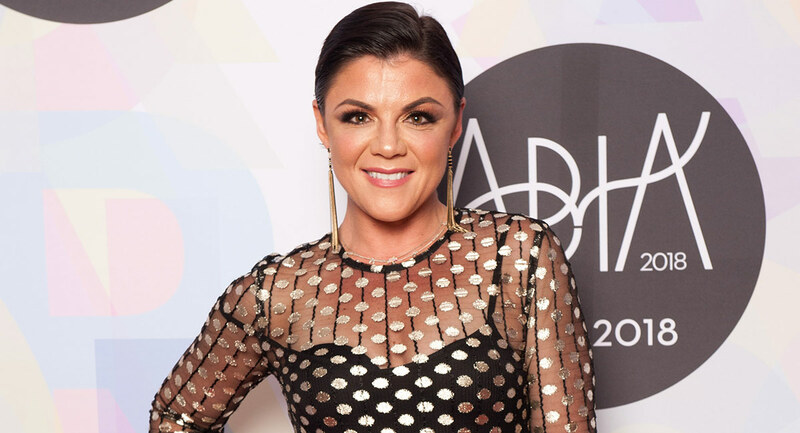 Since Wilkinson joined the panel show in January – following her high-profile departure from Nine’s Today – its 6.30pm audience has jumped 12% to 393,000. At 7pm, the average is 533,000: an astonishing 21% leap. Tennis Australia has put a deadline to Seven West Media regarding whether it will push ahead with broadcasting the Australian Open in 2019 and clarified it expects the free-to-air broadcaster to show the tournament on its main channel, a move that would relegate cricket to a secondary digital channel during clashes, reports The AFR’s Max Mason. 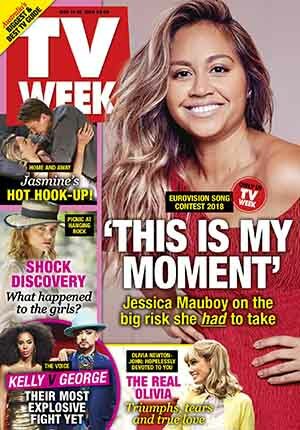 Last week, Seven West Media, which owns the Seven Network, signalled its intention to air both the cricket, which it signed a $82 million per season six-year deal for three weeks ago, and the Australian Open, for which it has one year left under an existing contract before tennis makes the switch to rival Nine Entertainment. 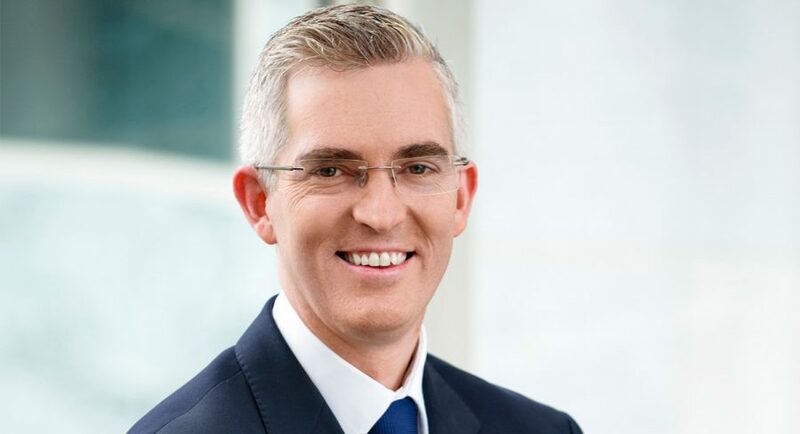 Tennis Australia chief executive Craig Tiley told The Australian Financial Review the organisation intends to honour the fifth year of its current contract with Seven and clarified the Australian Open must be shown on its main channel.